An expedition to the worlds biggest sinkhole has found something troubling. A crew consisting of Richard Branson, Fabien Cousteau, and Erika Bergman found plastic bottles at the bottom of the Great Blue Hole. 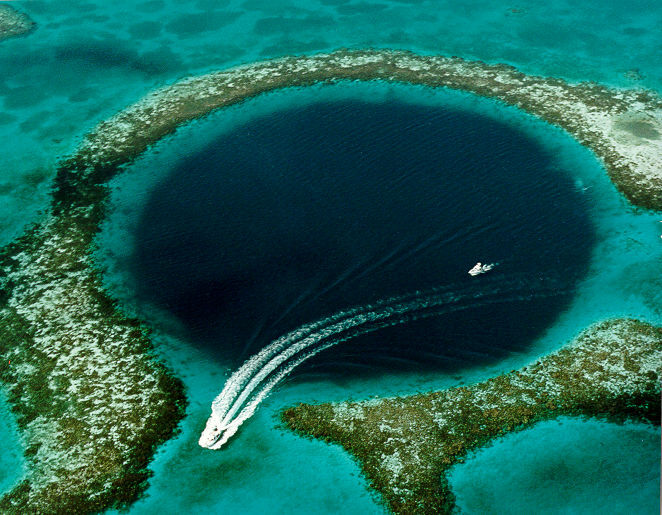 The Great Blue Hole is a giant marine sinkhole off the coast of Belize. It lies near the center of Lighthouse Reef, a small atoll 70 km from the mainland and Belize City. The hole is circular in shape, 318 m across and 124 m deep.